Carrie Buck is little more than an indentured servant in Charlottesville, Virginia, during the early 1900s. So when she gives birth to a daughter out of wedlock, Carrie is institutionalized. 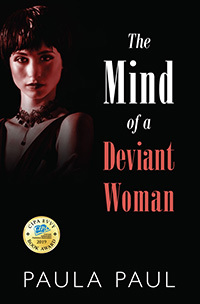 She, along with epileptics, prostitutes, criminals, and other “undesirables” are considered deviant and must be sterilized according to a landmark US Supreme Court decision in the 1920s. New York socialite Louisa Van Patten is involved in the eugenics movement that brings about the court’s decision. She is writing a college dissertation on deviants, and Carrie is the primary source for her research. She will not allow Carrie or Ben Newman, a reporter for the New York Times, to change her mind about the validity of such sterilization. Although she is engaged to marry an up-and-coming lawyer with political ambitions, Ben threatens to derail her plans when she realizes she is falling in love with him. As she delves deeper and deeper into her research, she uncovers a dark secret that further complicates her life. That secret, along with Carrie and Ben, send her life and her research spinning off course. It is Carrie who can save Louisa’s life and reset her course if Louisa will allow it. Using, in part, authentic letters and documents from the era, Paula Paul has crafted a mesmerizing fictionalized account of Carrie’s life, her trial, and the Supreme Court decision that eventually influenced actions taken against citizens in Nazi Germany.